QUAD CORE … QUAD CORE ….. is most known word for Indians today specially because of Chinese & Indian mobile manufacturer . China’s mobile manufacturer day by day are launching quad core smartphone in the Indian market . Another Chinese mobile manufacturer is ready to launch there first Quad core android smartphone in India . Jiayu is going to launch Jiayu G4 in India very soon at very attractive price . If we talk about specs of Jiayu G4 then it has cool specs that sets it apart from other handsets . The device has 4.7inch 720pixels resolution HD Gorilla Glass Capacitive IPS touch screen . The device has 2versions based on the Ram memory , 1GB ( youth version ) or 2GB . Jiayu G4 Runs on latest Android 4.2 jelly bean Os . Jiayu G4’s price in India will be Under Rs 17,000 . Jiayu G4 Full Specifications & Features . Jiayu G4 runs on Android v4.2 jelly bean . Jiayu G4 is powered by 1.2GHZ Mediatek MTk6589 Quad core processor . Jiayu G4 has 1GB / 2GB ram & 4GB / 16GB ROM . Jiayu G4 has 4.7inch Generation Two Gorilla Glass IPS Display of 720pixels resolution . The device has 13MP BSI auto focus rear camera & 3MP front facing camera . The device is powered by 1850mAh & 3000mAh battery . The device has Gyroscope,Compass,Gravity Sensor, Proximity Sensor and Light Sensor . Jiayu G4 has 64GB expandable memory via Sd card . The device does have dual Sim capability . Jiyau G4 has 3G , 2G , wifi , Bluetooth , Gps , Fm , 3.5mm audio jack & micro usb connectivity . The standby time of the device is about 2 to 3 days . The device has 2 different version with different specs . 13MP rear & 3 Mp front camera . 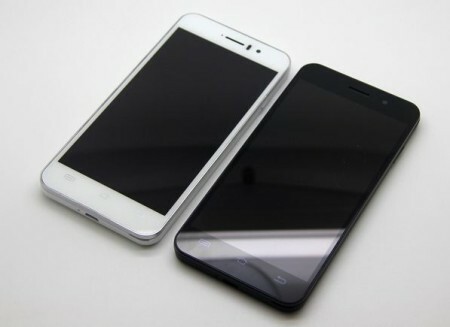 Below are some Rivals Of Jiayu G4 . JIAYU G4 vs other Quad core phones . Gionee Dream D1 ( Unboxing & review )– Gionee Dream D1 has 4.65inch Super Amoled HD display . Micromax A116 – Micromax A116 canvas hd has 5inch 720p resolution display . Umi X2 – Umi X2 has 5inch 1080p resolution display . Zen Ultraphone 701Hd – Zen Ultrafone 701 Hd has 5inch 720p resolution display at very attractive price . Gionee Gpad G2 – Gionee Gpad G2 has 5.3inch Qhd display . Spice Mi 535 – Spice Mi 535 has 5.3inch QHD resolution display & it also has 5mp wide angle front facing camera . hi Harpal, nice review and i want to that when it will be available in India and what would be the price ?